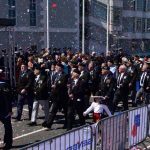 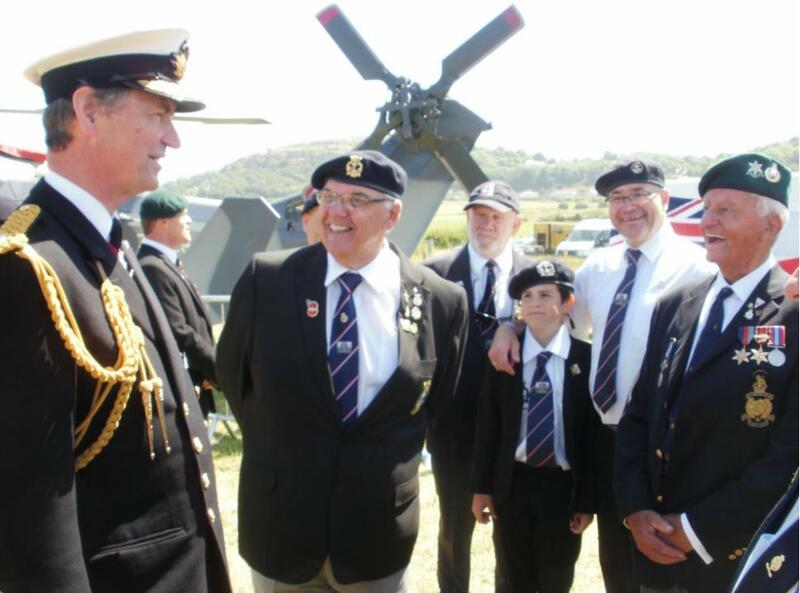 With over 20,000 members across 300+ branches in the UK and overseas, we are a family of current and former Naval Service personnel, relatives and supporters of our country’s Royal Navy. 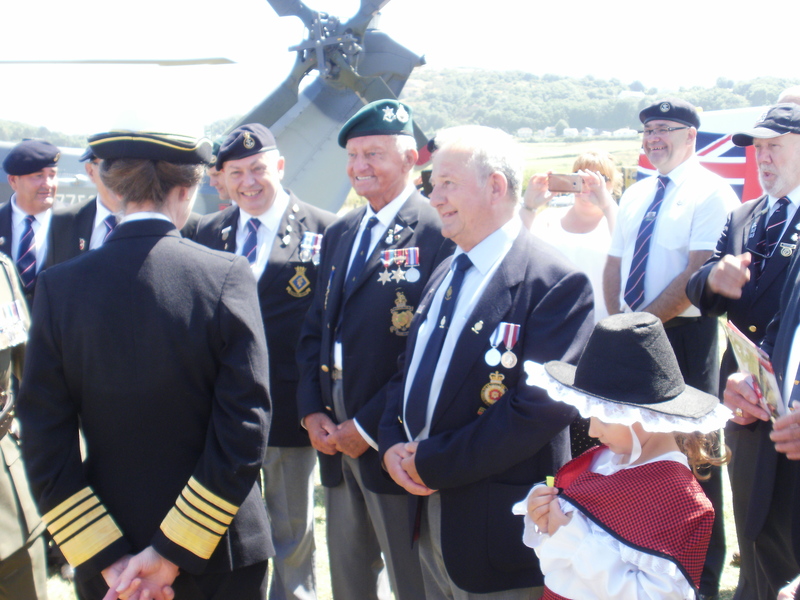 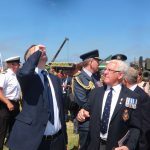 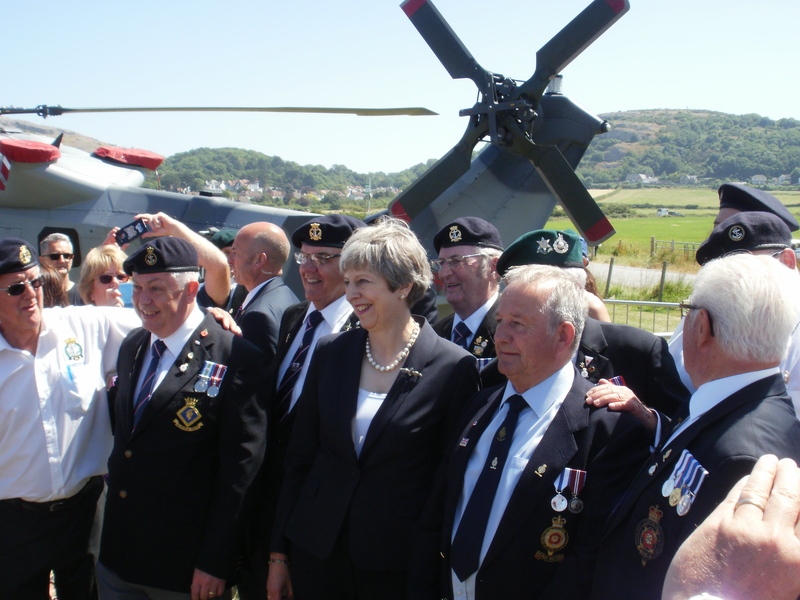 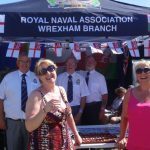 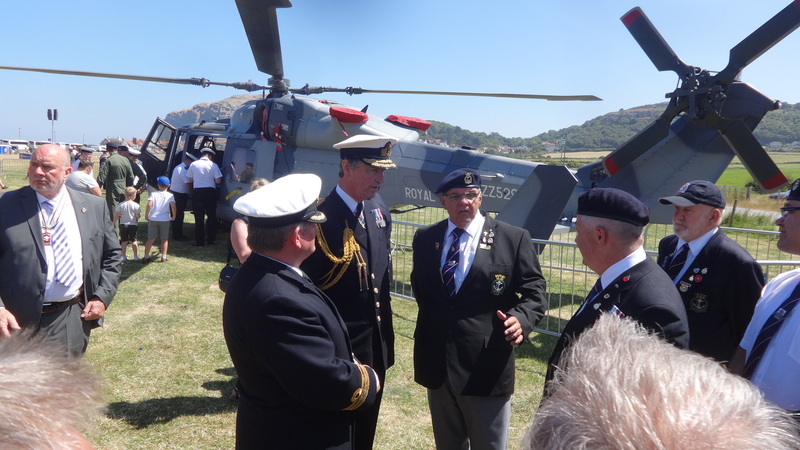 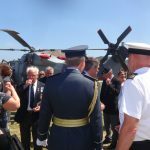 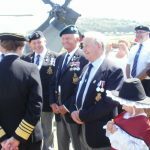 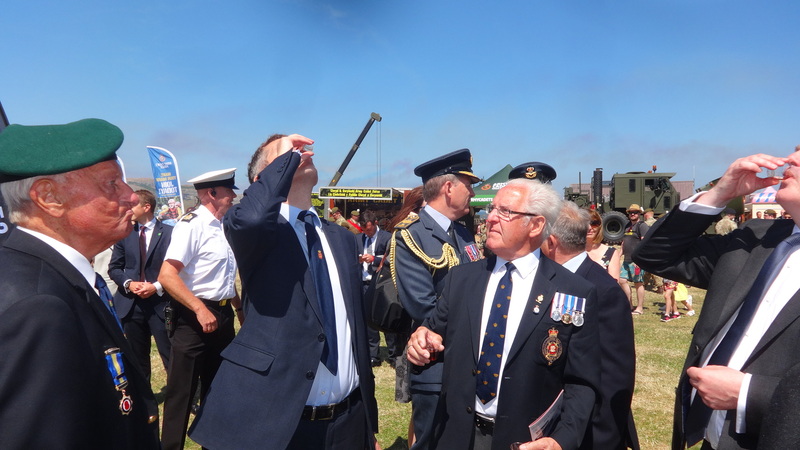 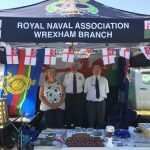 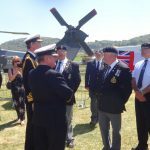 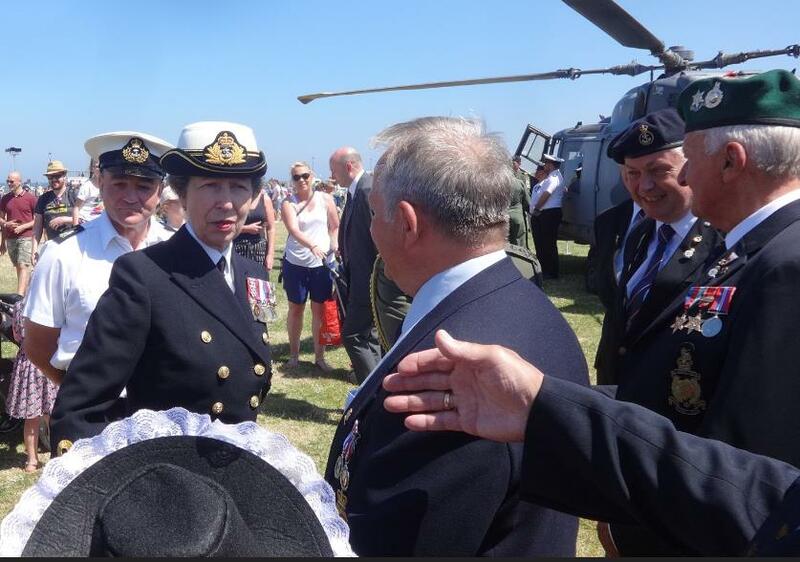 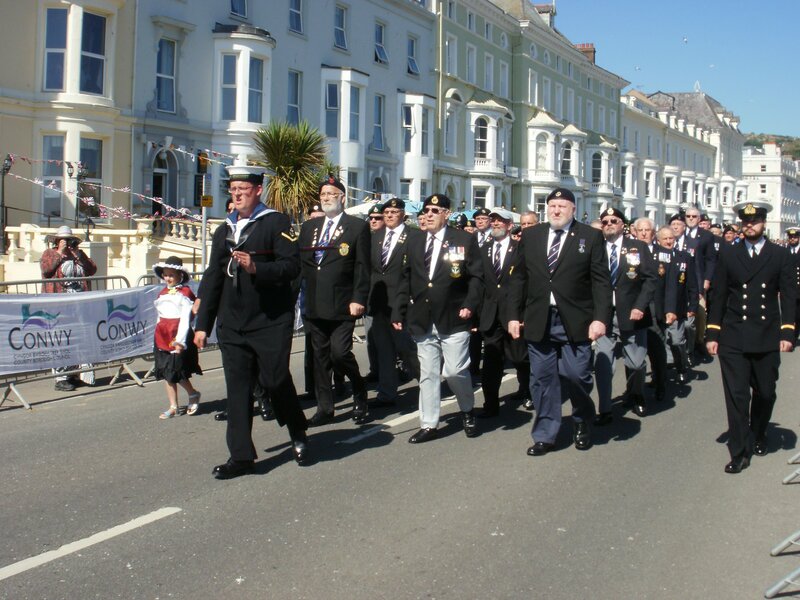 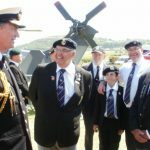 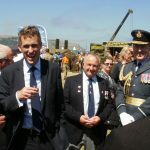 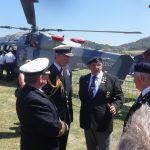 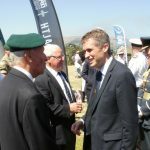 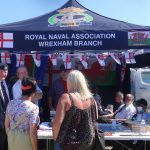 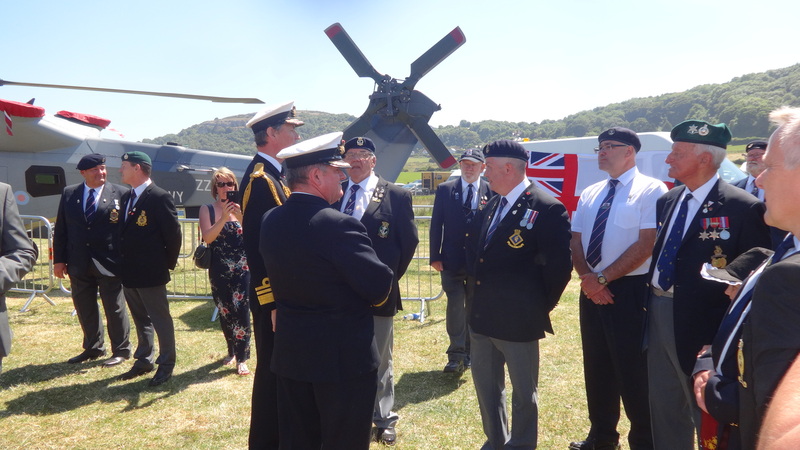 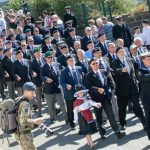 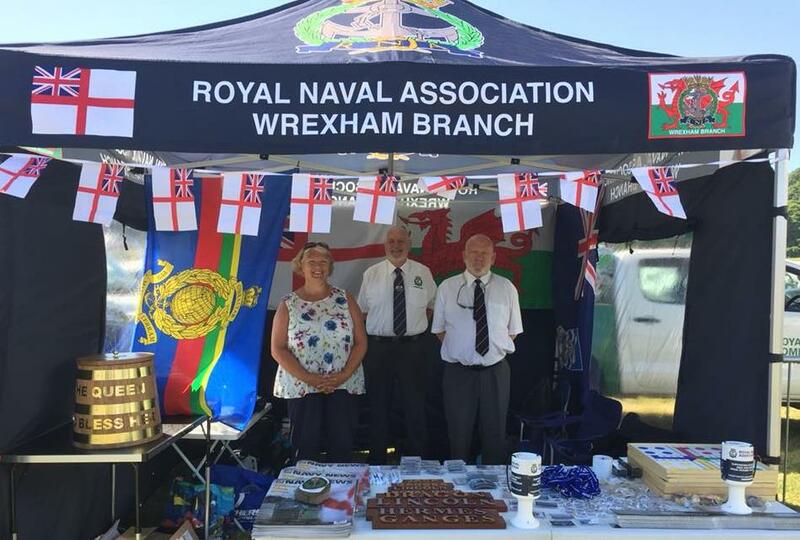 Whether we are catching up with friends at our regular social events, fundraising, advising on welfare and employment matters, or just providing an arm around the shoulder, our natural willingness to help others stems from the tradition and camaraderie that only Naval Service life can instil. 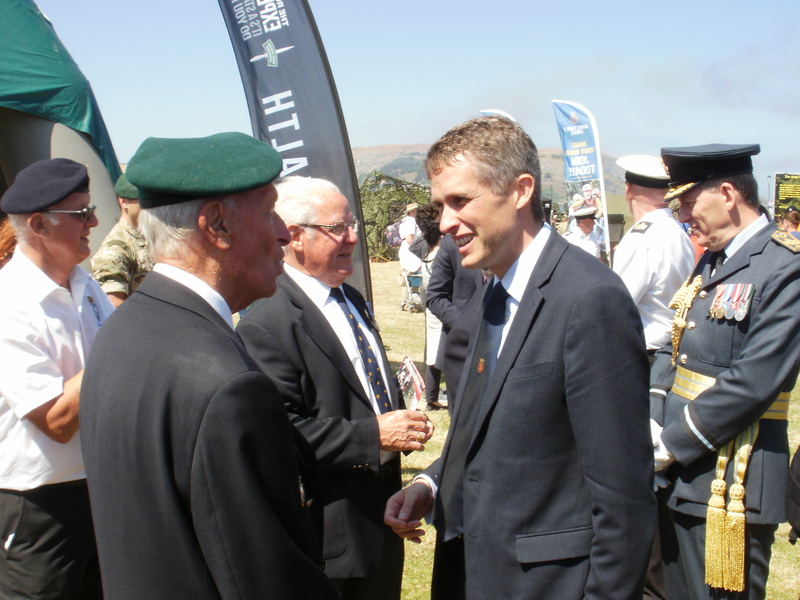 Everything we do is inextricably linked to our core values. 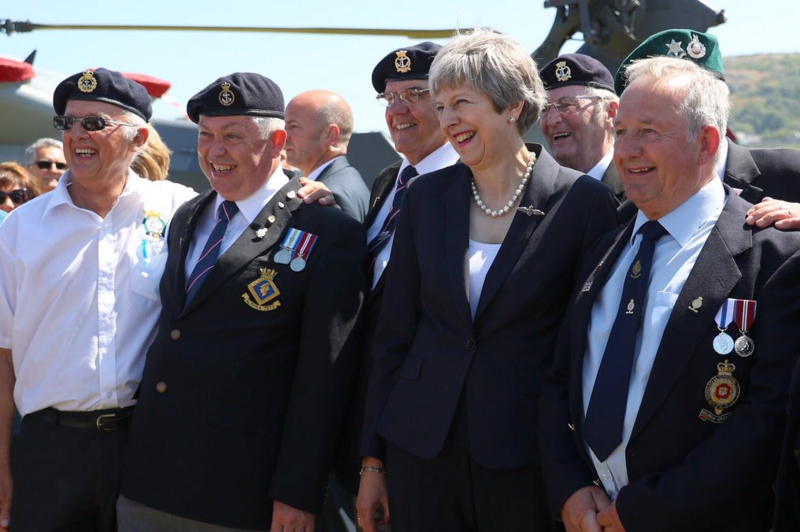 Unity: Shared backgrounds and equality in rank. 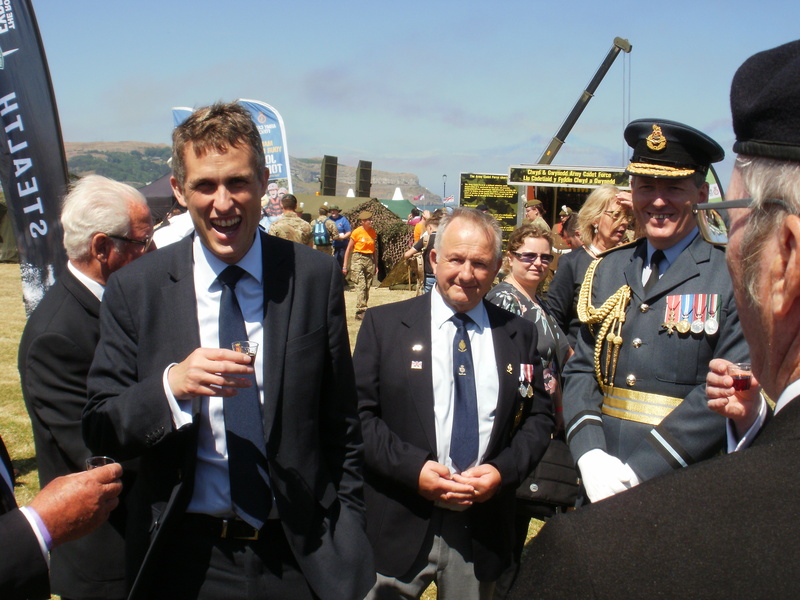 We share the same bonds, the same mind set, and even the same language (Jackspeak!). 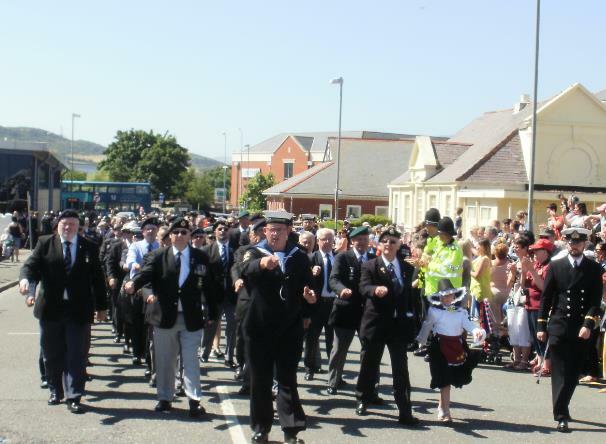 We are all equal. 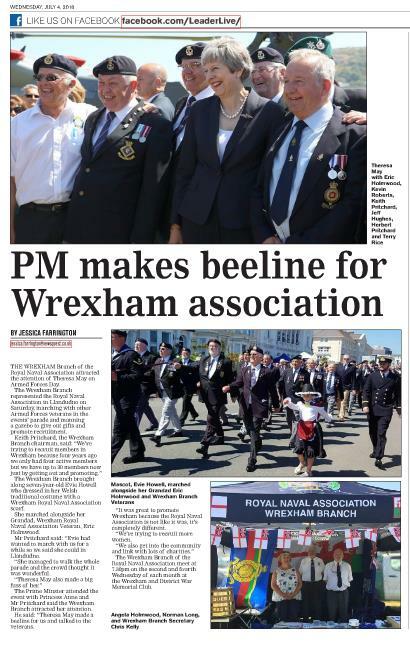 We are the heart and soul of the RNA. 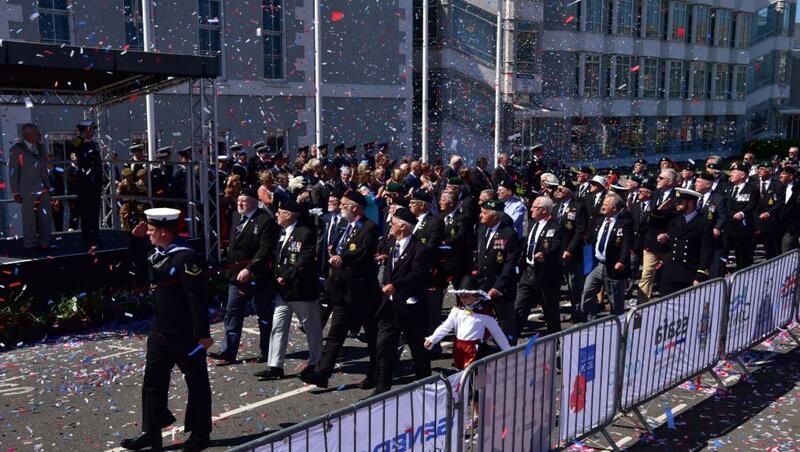 Loyalty: To each other and our dependents. 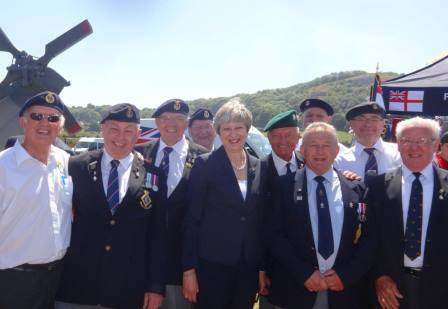 We will always support and look out for each other. 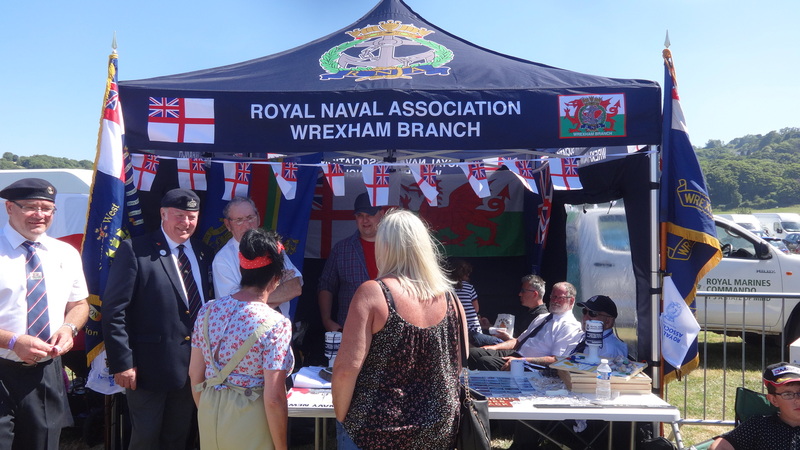 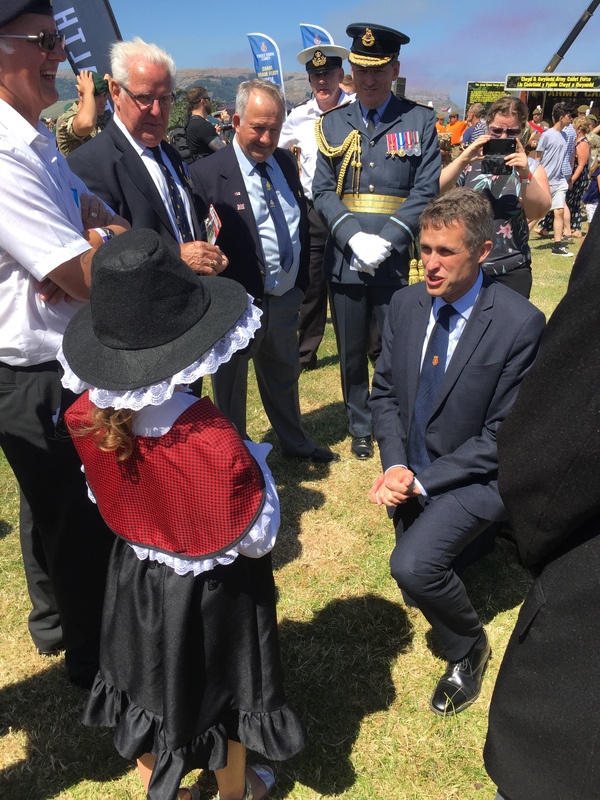 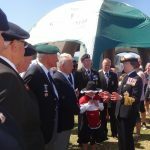 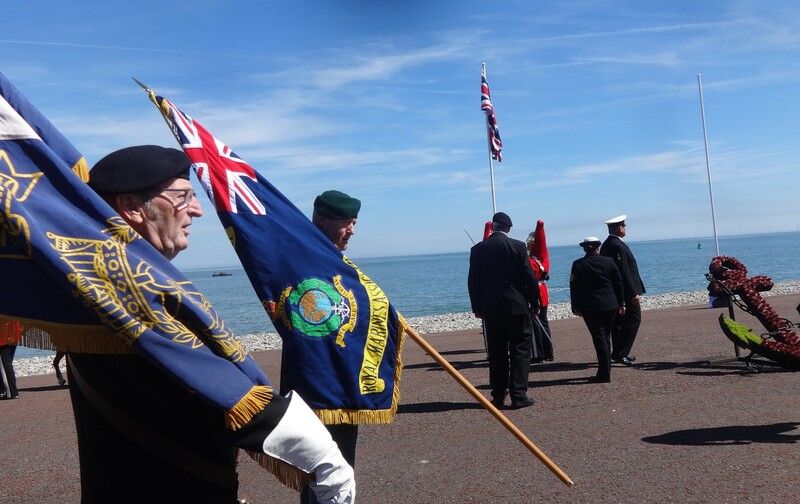 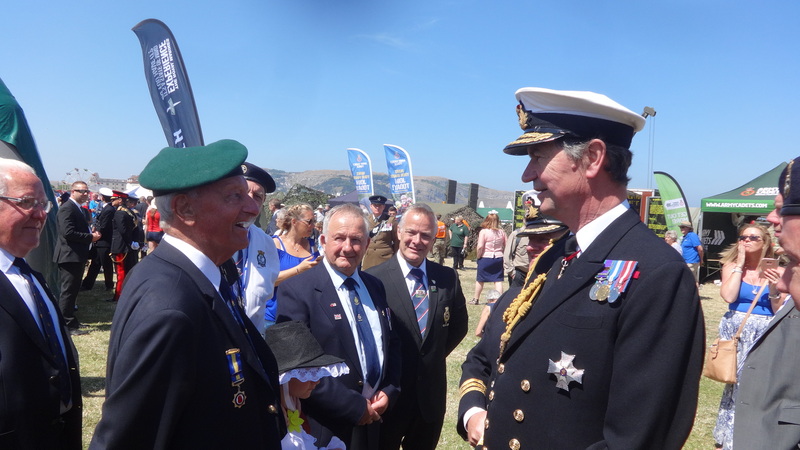 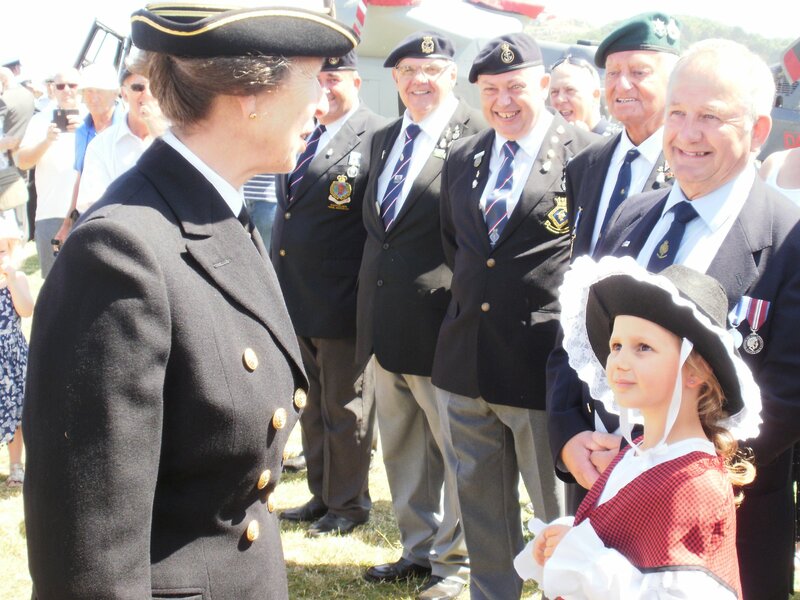 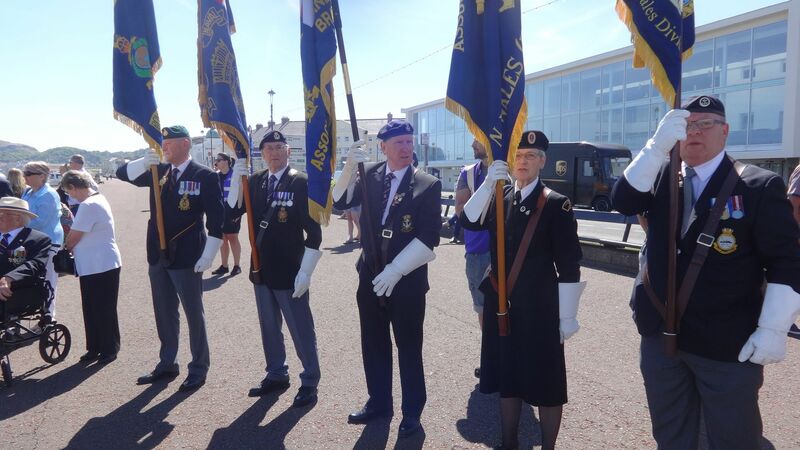 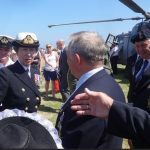 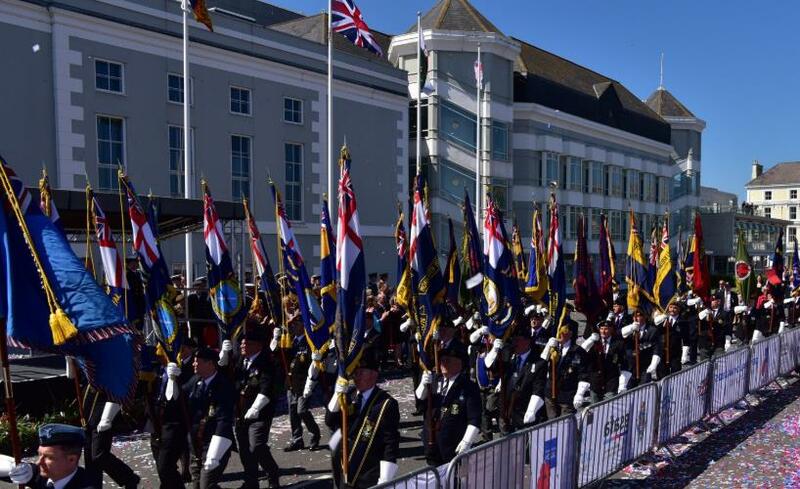 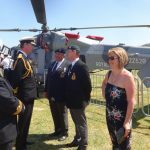 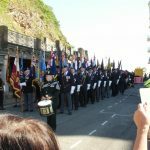 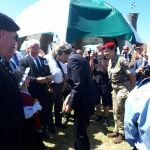 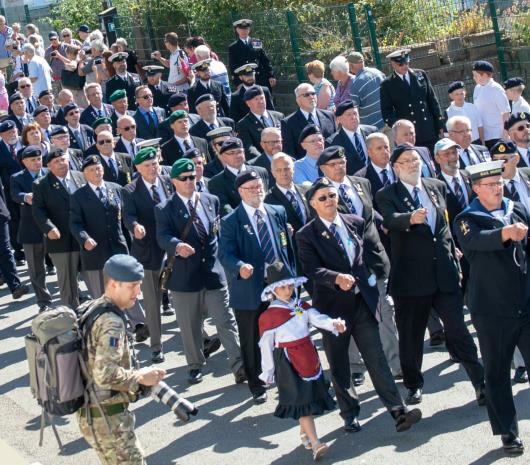 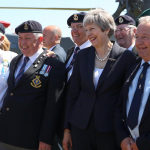 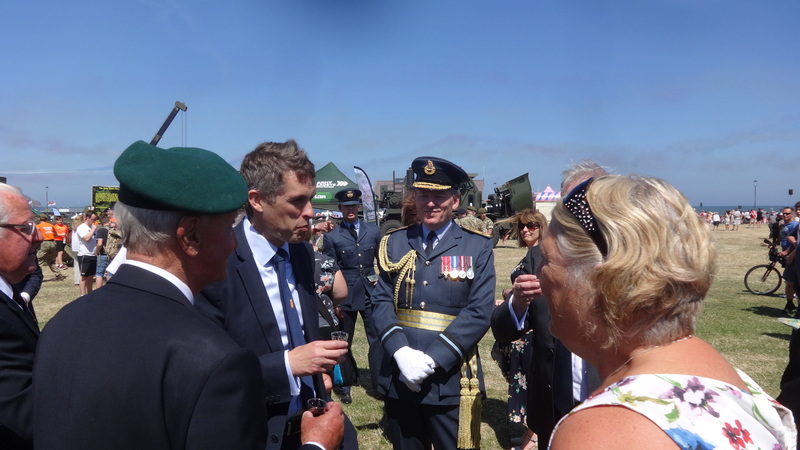 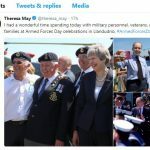 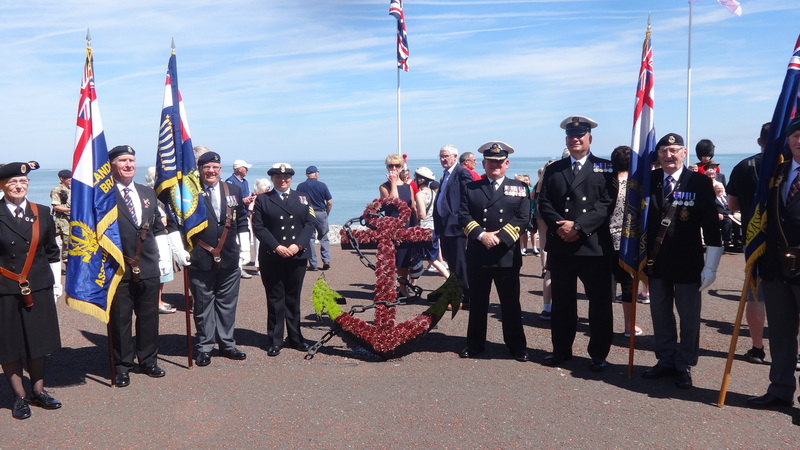 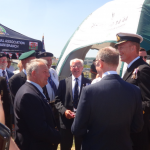 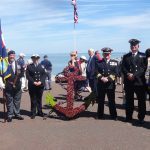 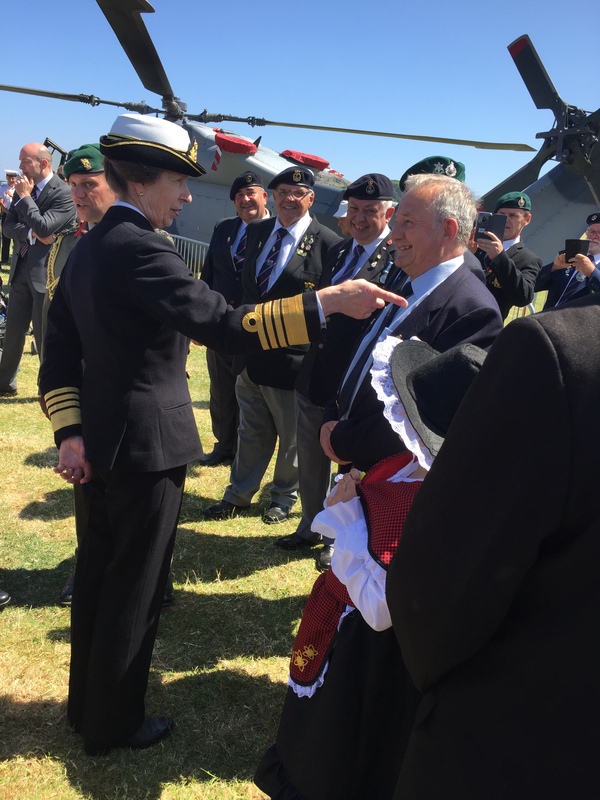 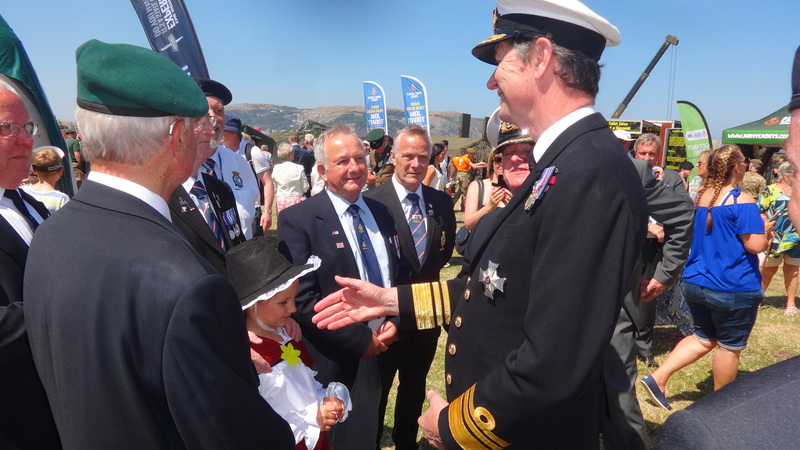 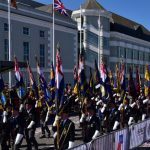 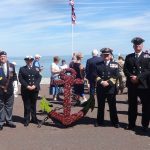 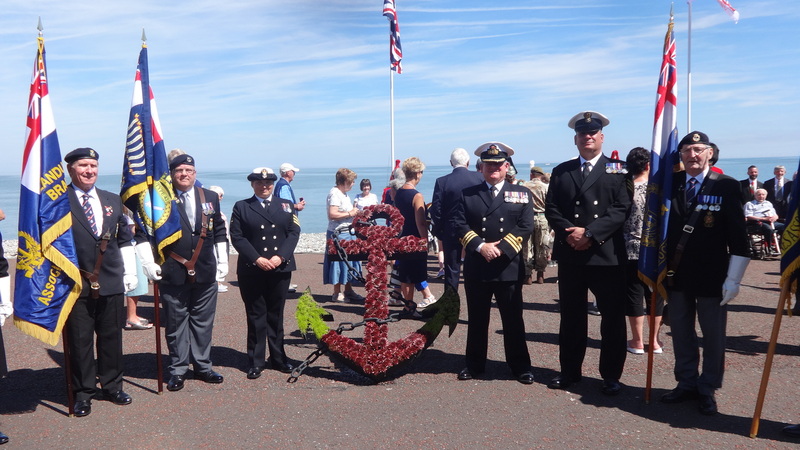 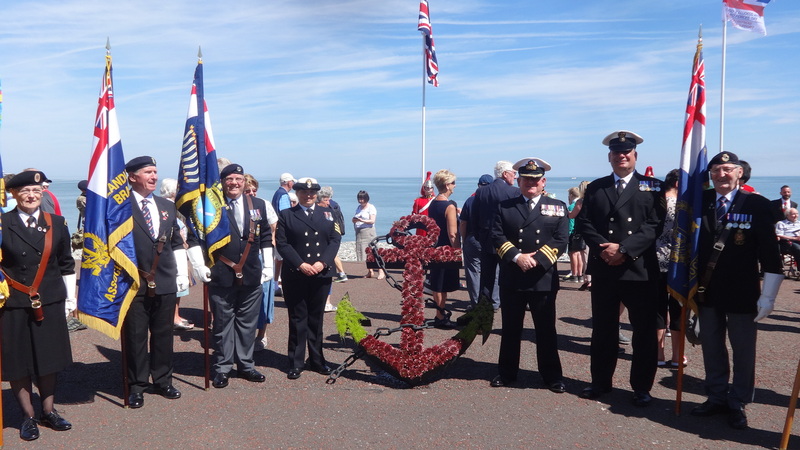 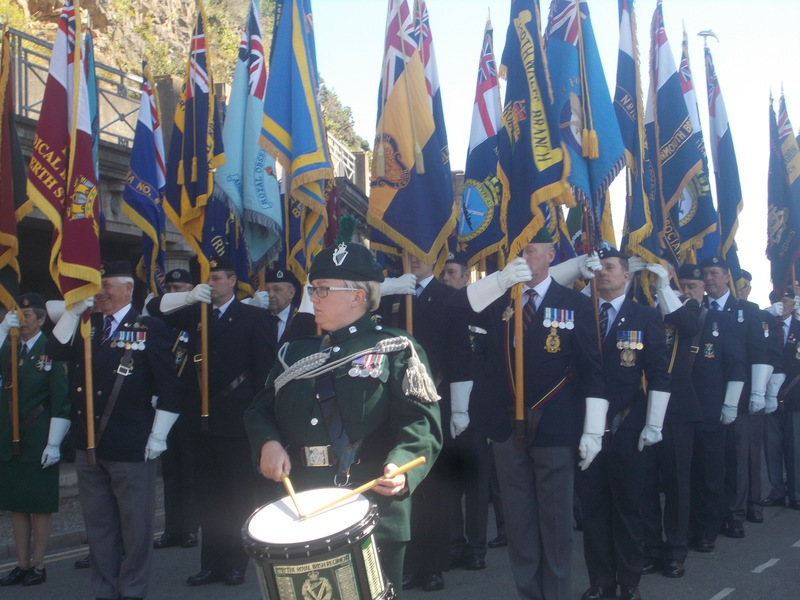 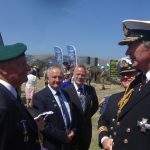 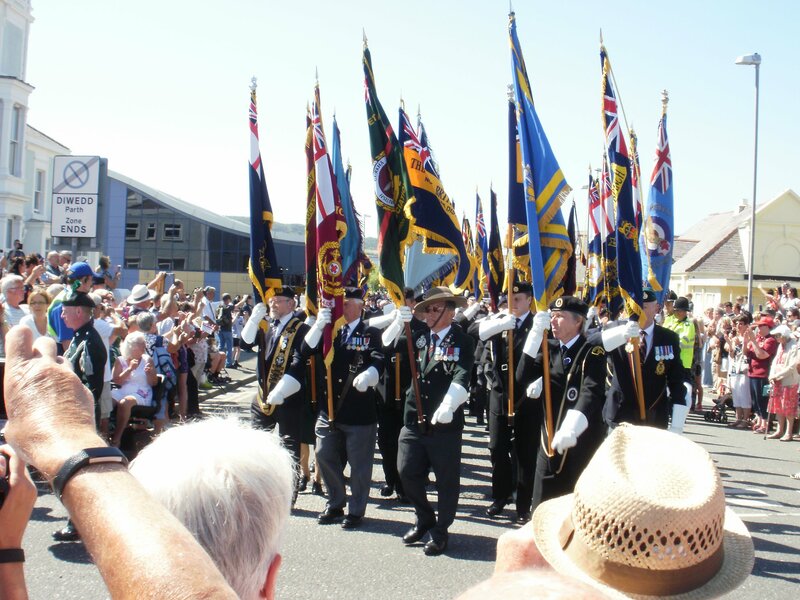 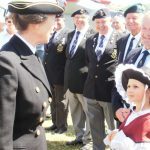 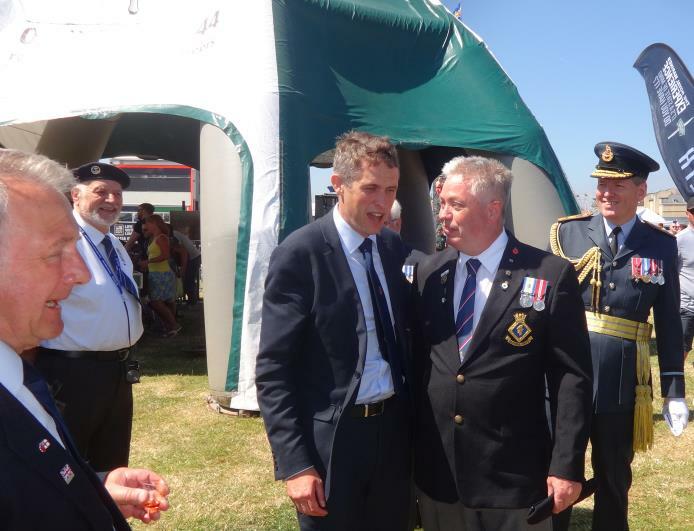 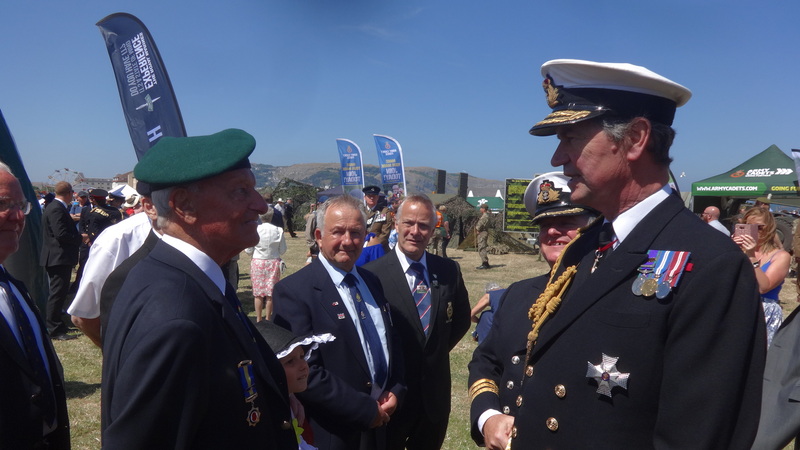 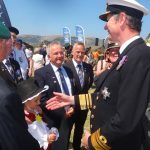 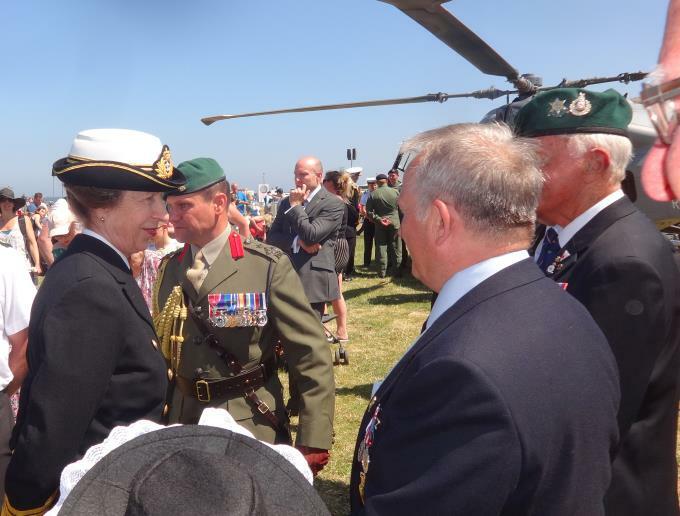 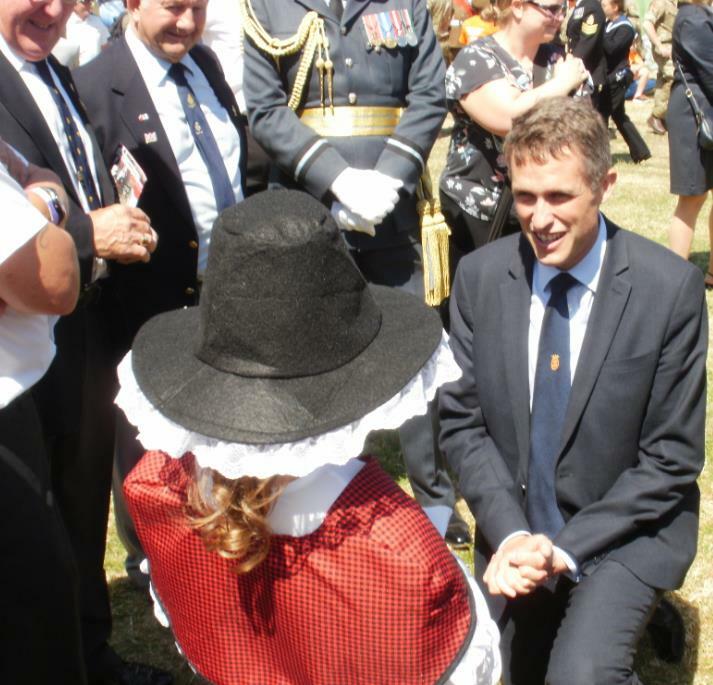 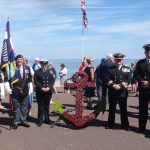 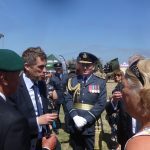 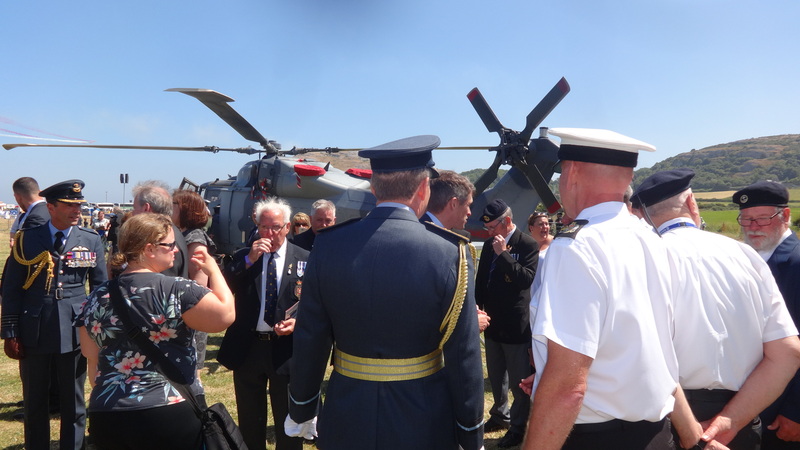 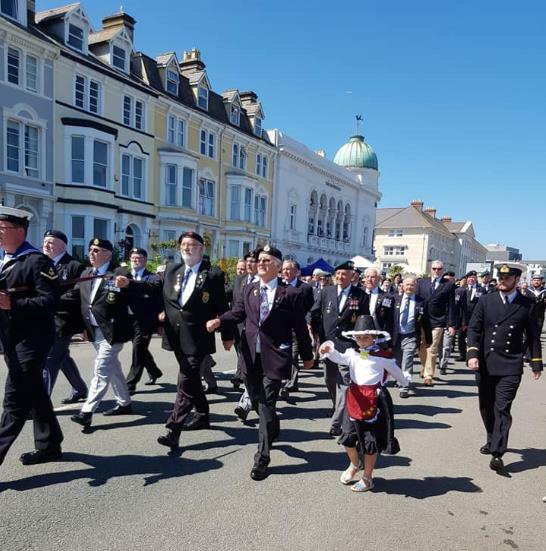 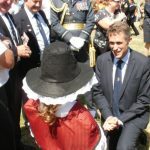 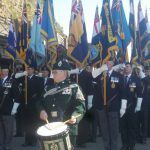 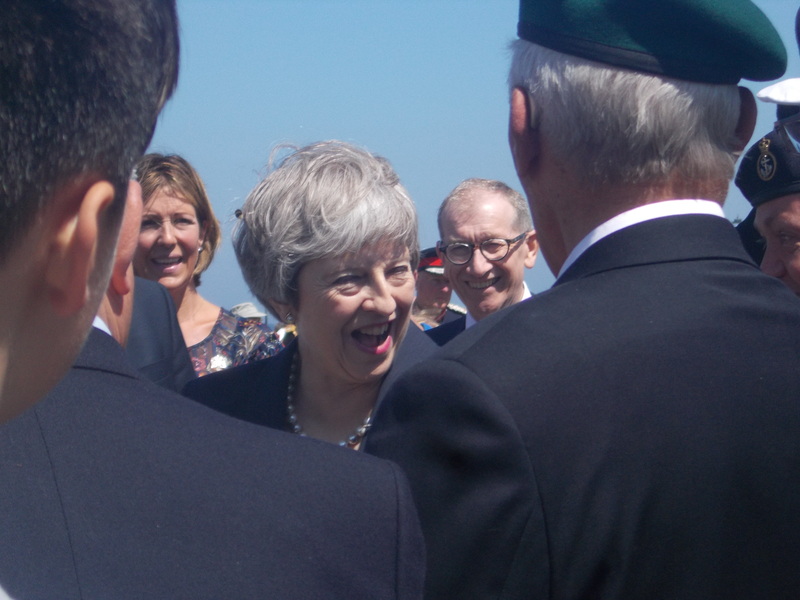 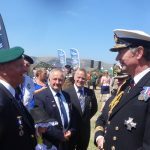 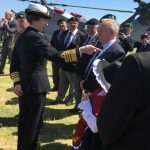 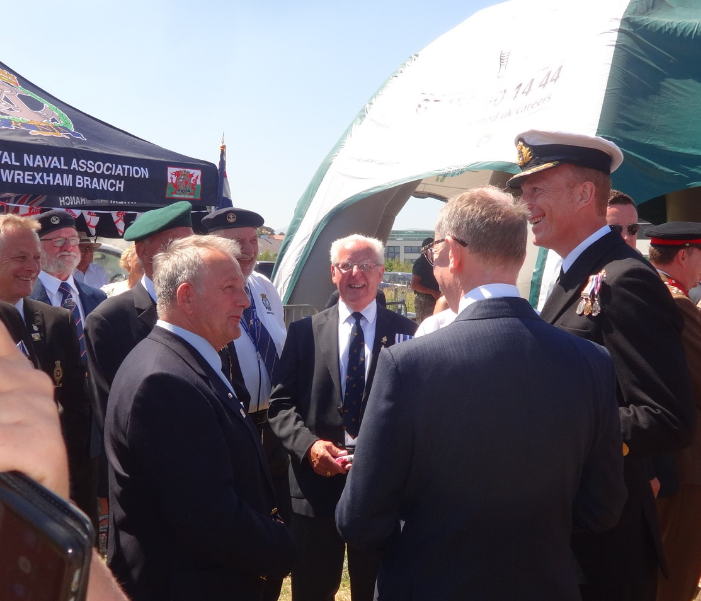 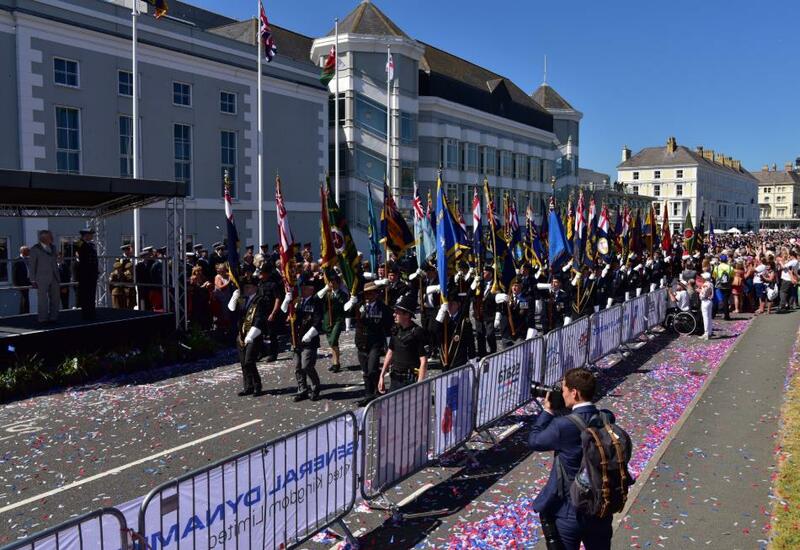 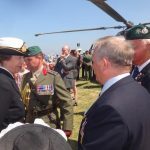 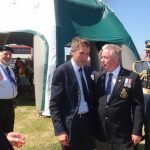 Our loyalty is to all our shipmates, our local communities, the personnel and dependents of the Naval Service, along with other charities or organisations with naval connections. 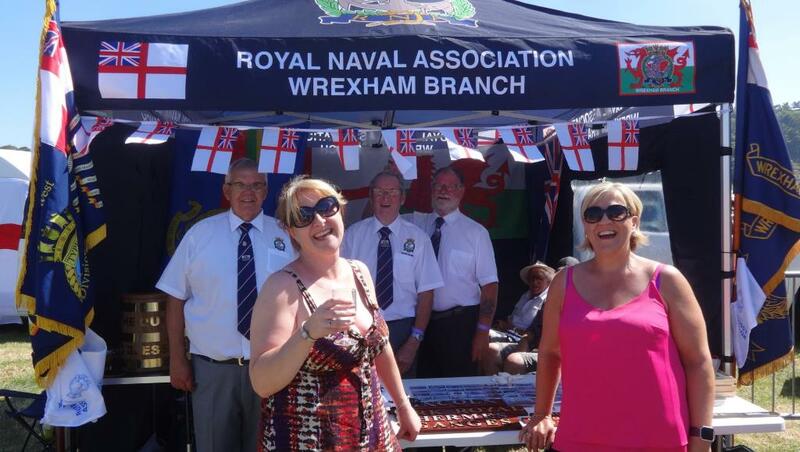 Comradeship: Friends in fun, fellowship and need. 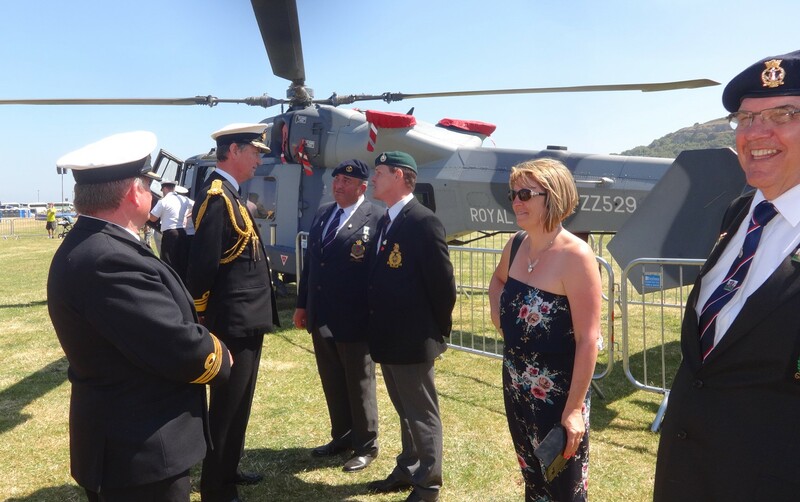 Your shipmates will always be here for you, whether it’s about a job, and ideas for a fun day out or just an arm around the shoulder. 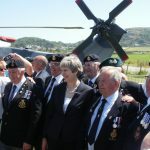 We will never leave you or your dependents in despair. 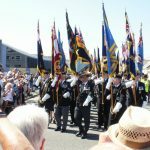 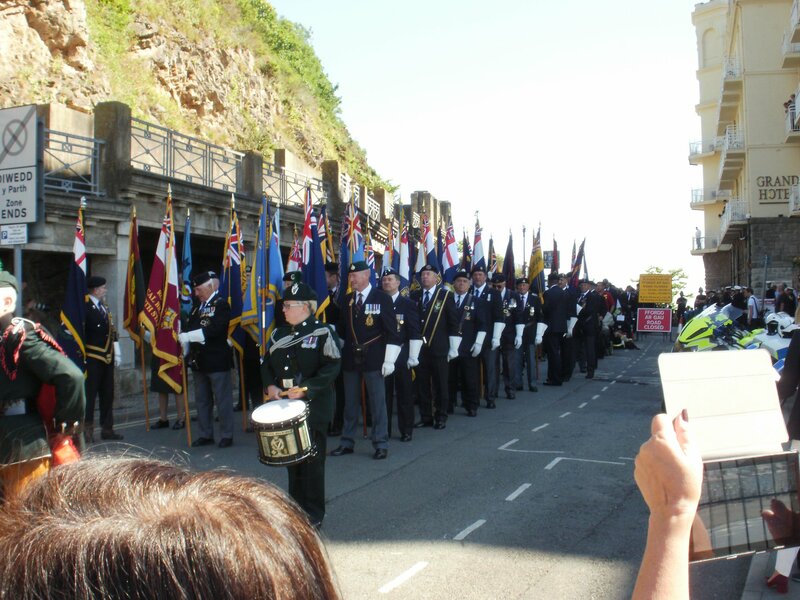 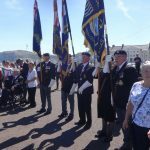 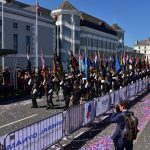 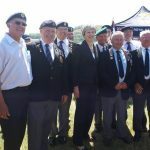 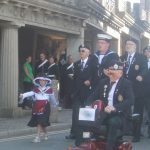 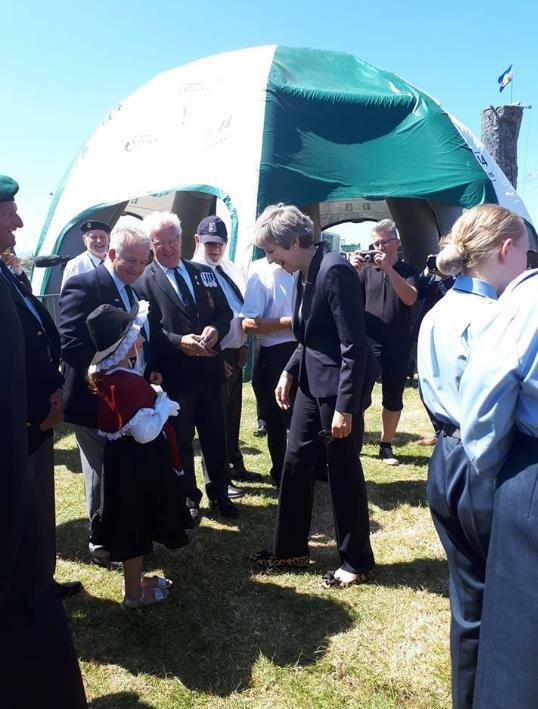 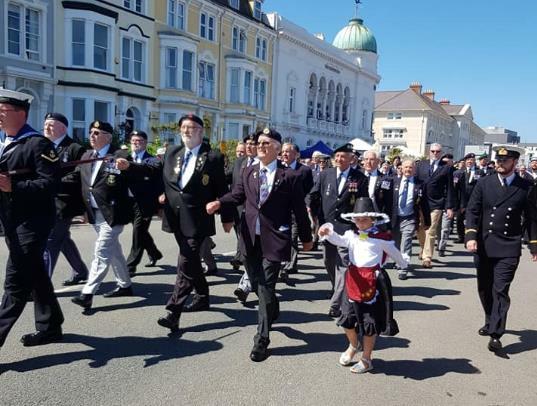 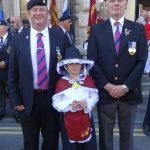 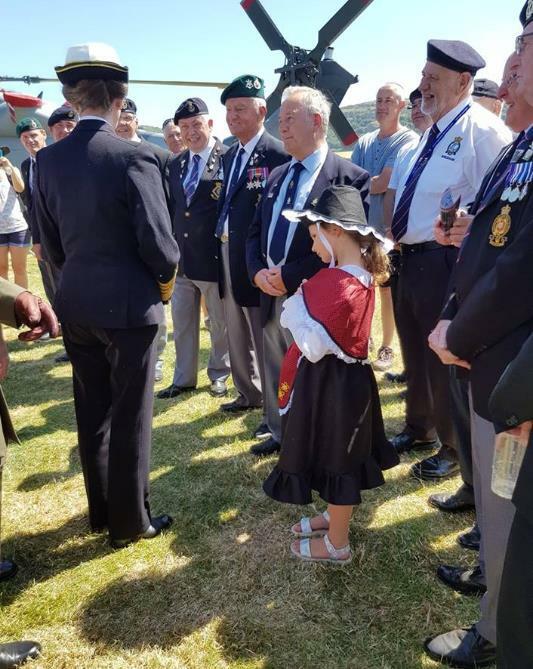 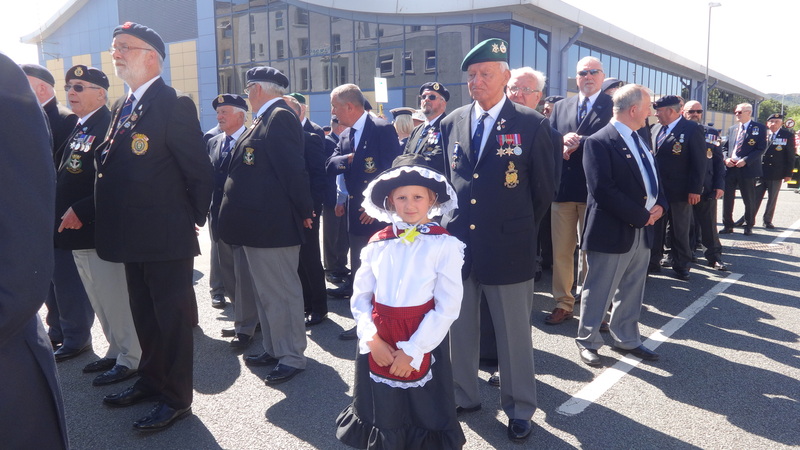 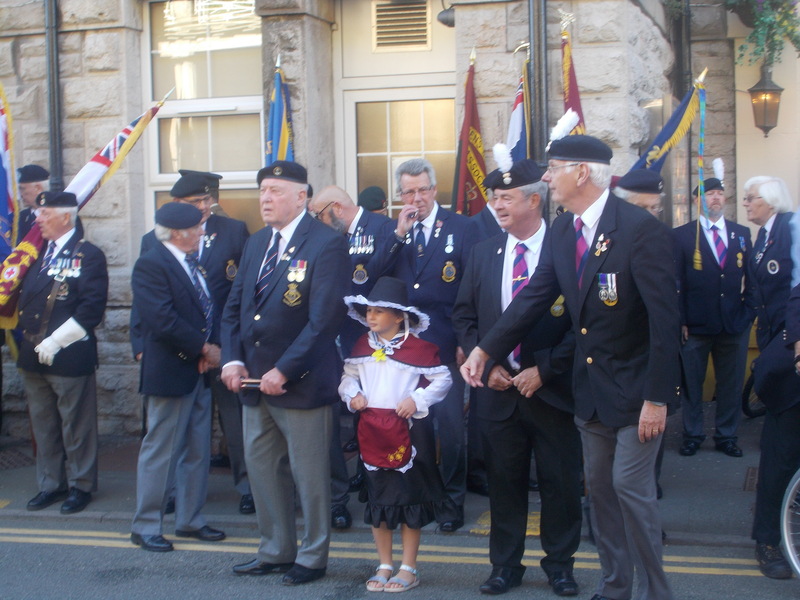 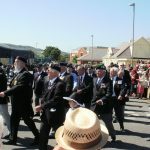 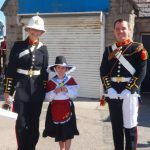 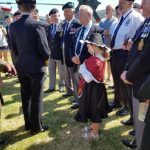 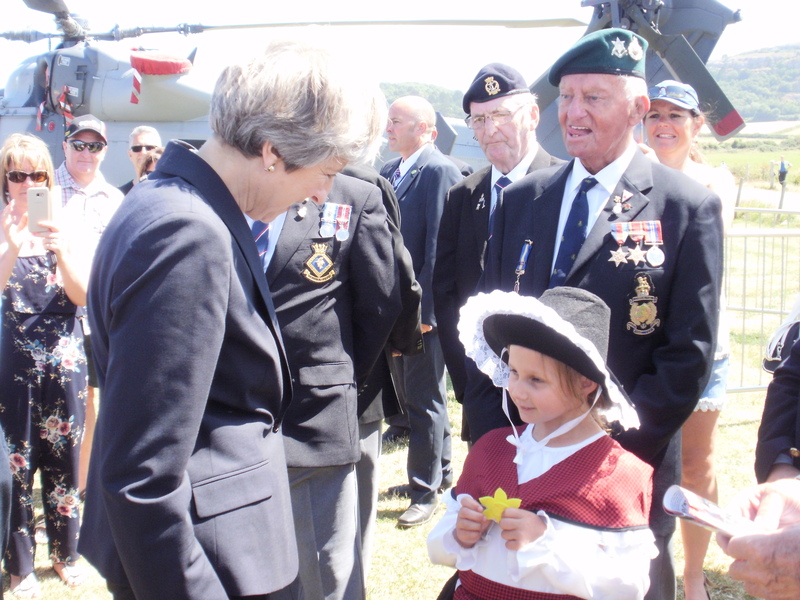 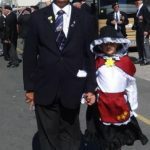 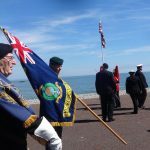 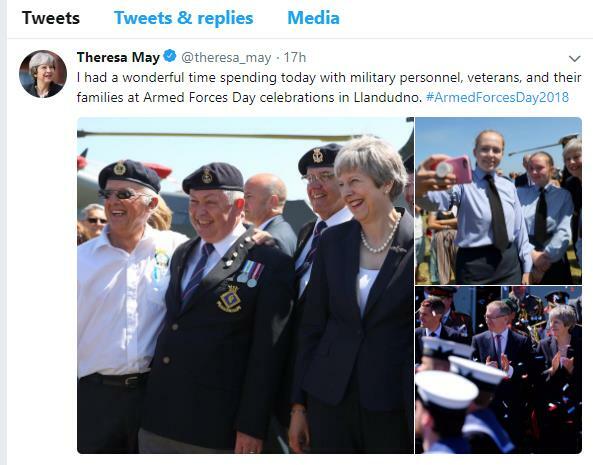 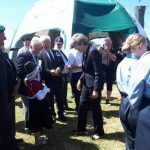 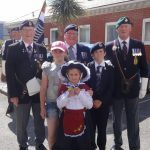 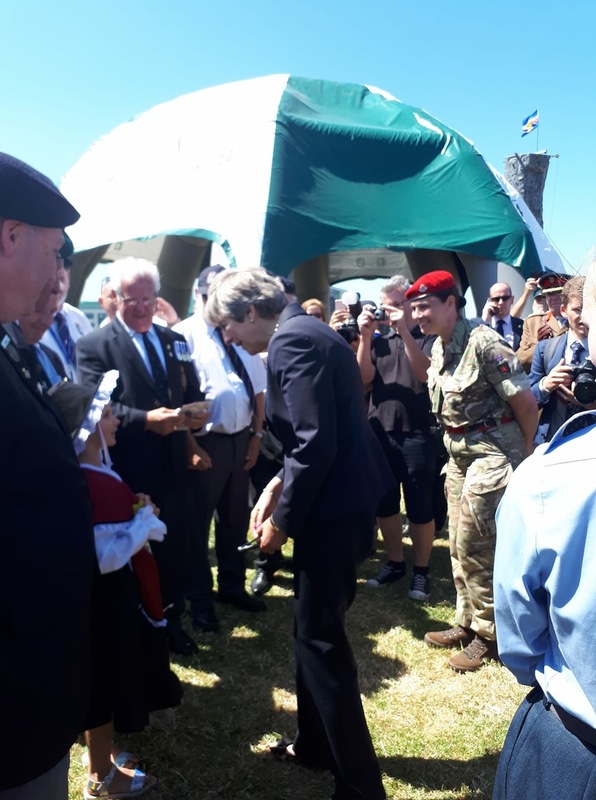 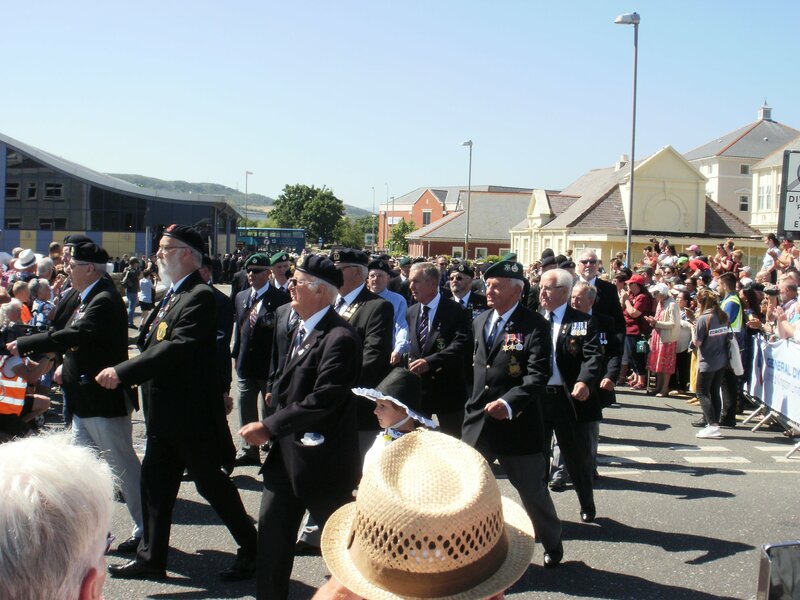 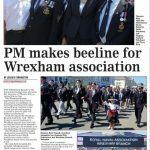 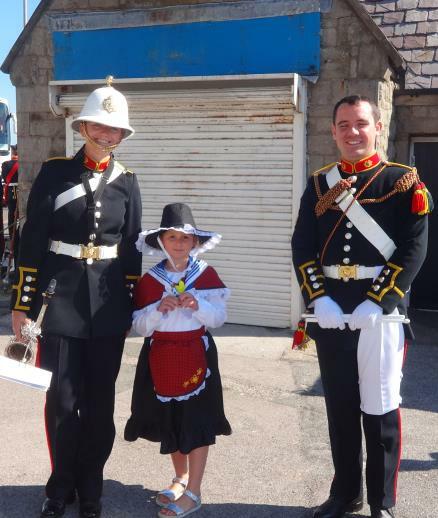 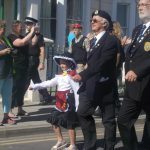 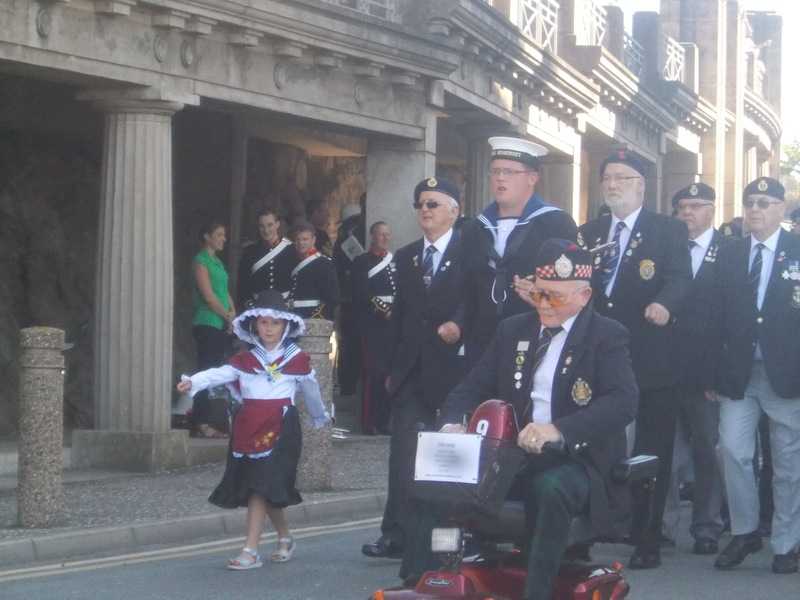 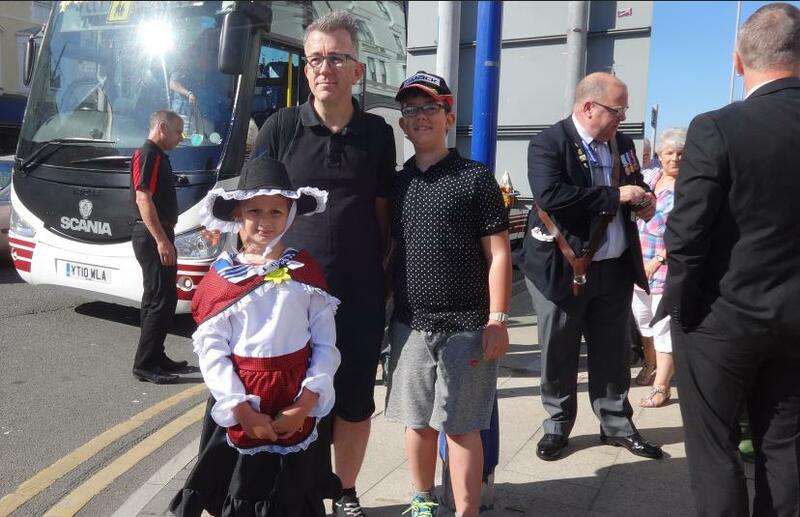 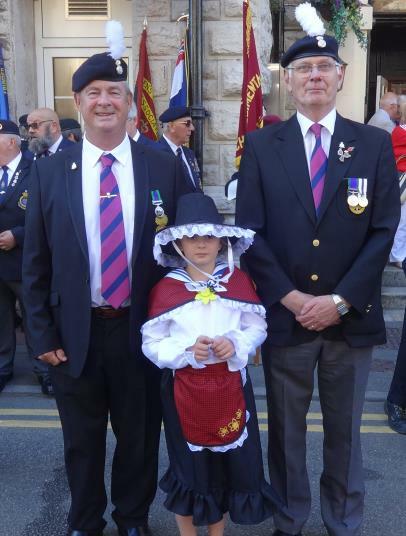 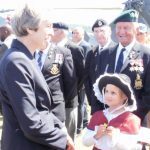 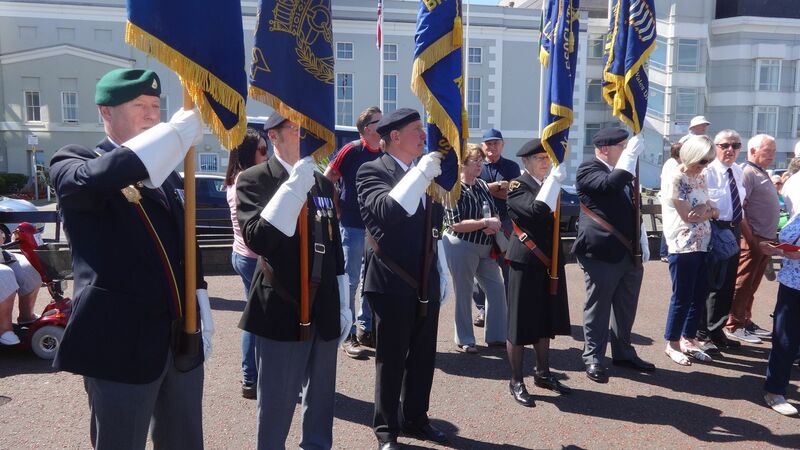 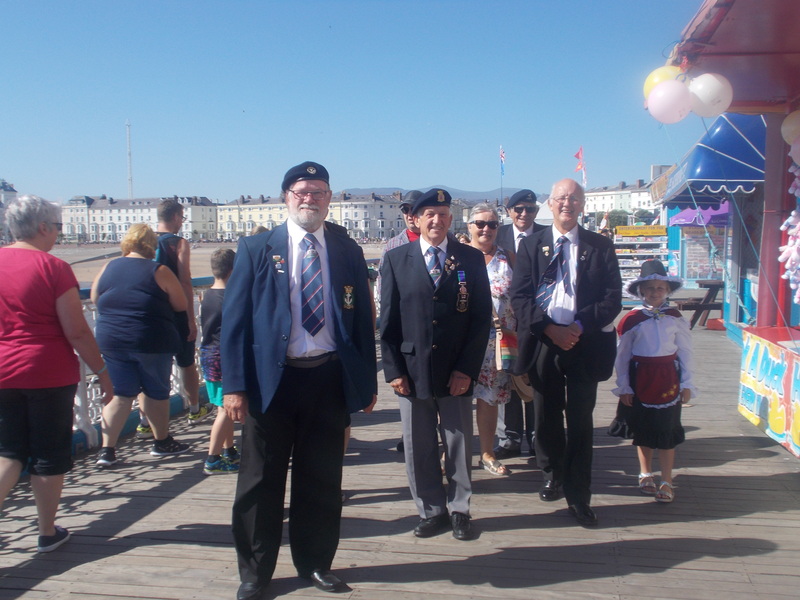 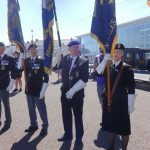 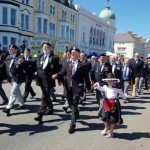 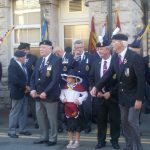 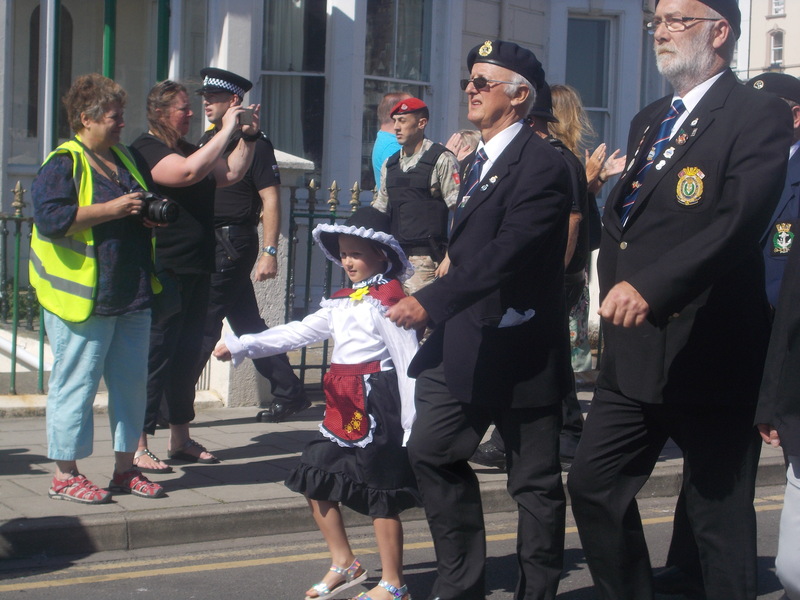 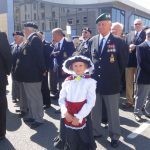 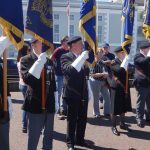 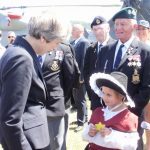 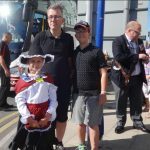 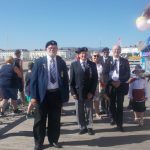 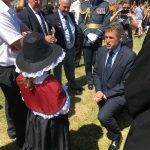 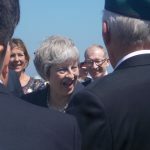 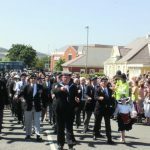 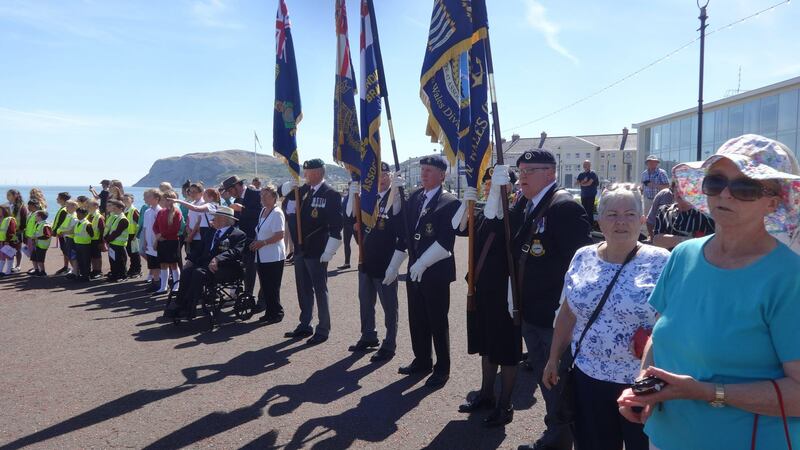 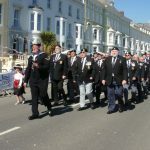 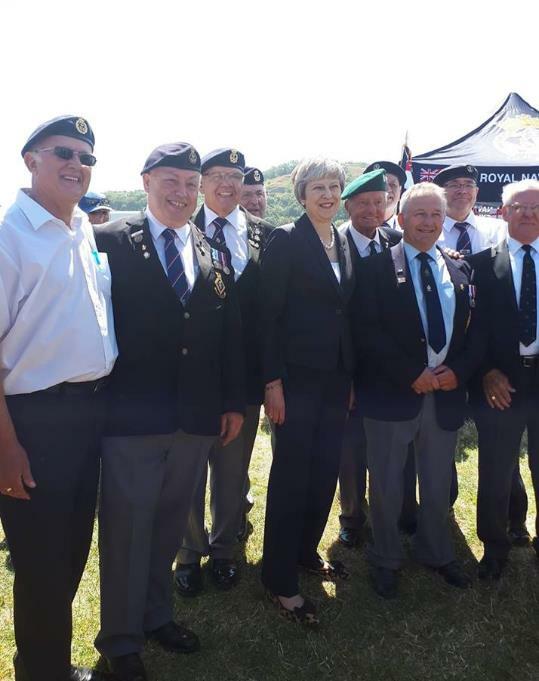 Wrexham RNA members with mascot Evie proudly lead the veterans parade at Armed Forces Day 2018 in Llandudno. 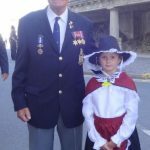 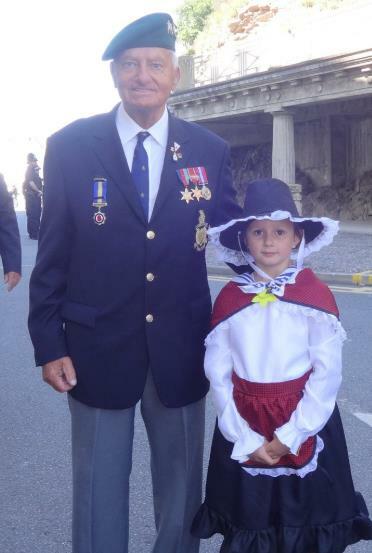 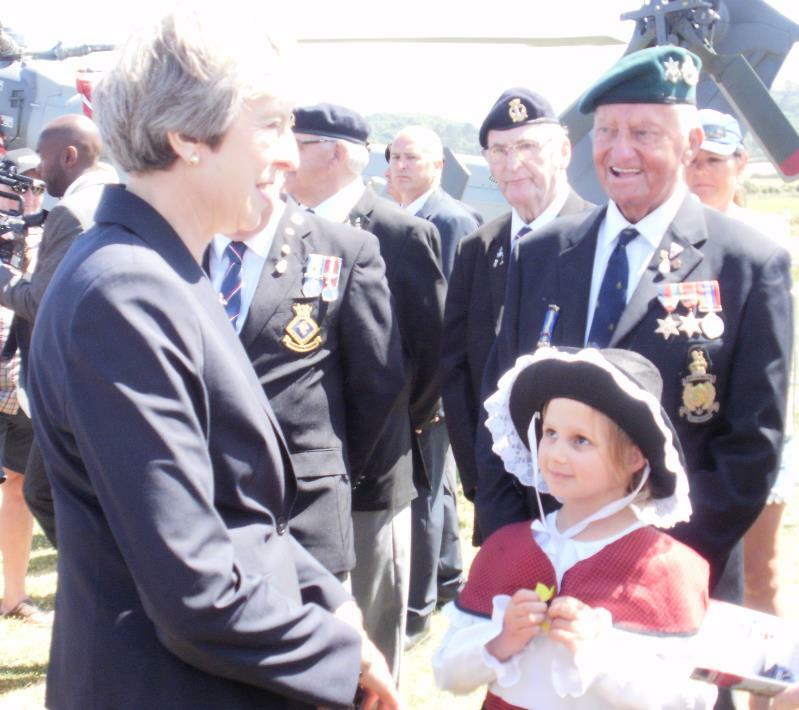 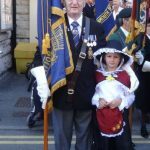 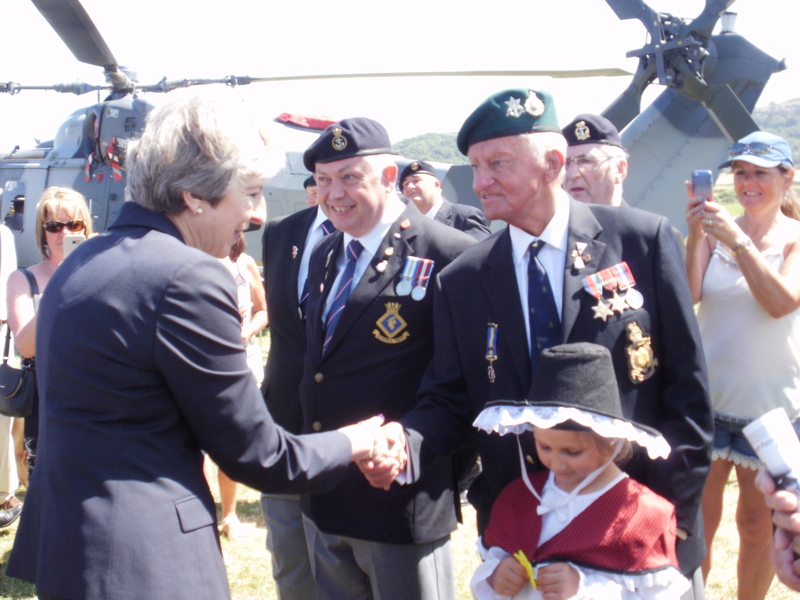 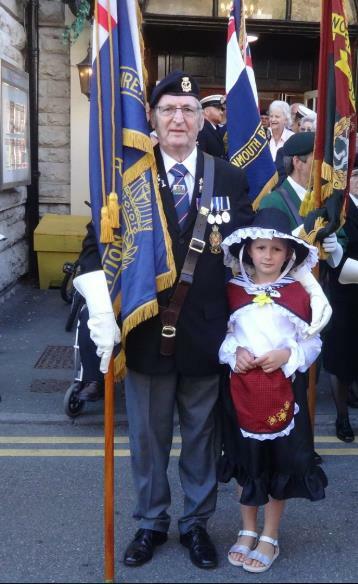 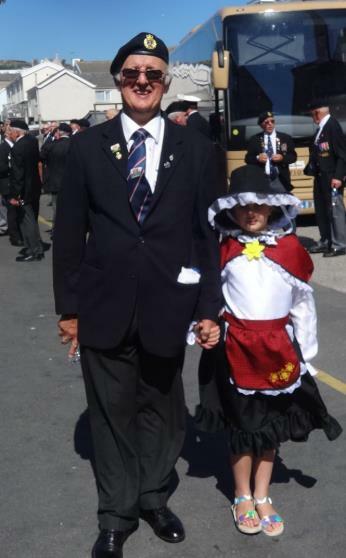 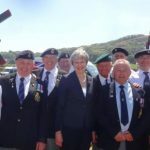 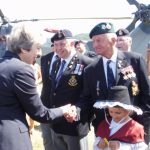 Wrexham Branch most senior member Burma Star Veteran Royal Marine Herbert Pritchard pictured with Evie.